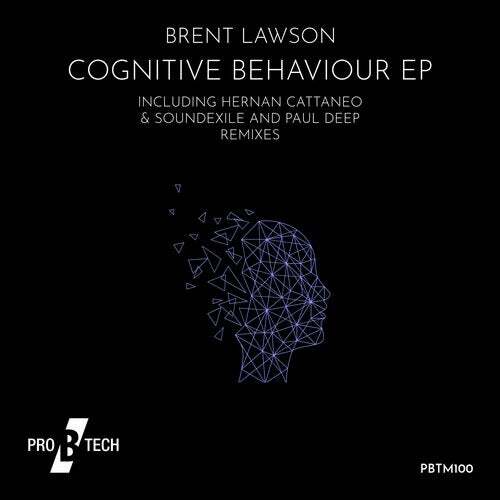 After many high-quality releases, Pro B Tech Music proudly presents the `Cognitive Behaviour´ EP coming from the mind of Brent Lawson, the proud owner of this imprint. In charge of the remixes for this premiere are Hernan Cattaneo, Soundexile and Paul Deep. The original mix of this EP has intense uplifting energy that builds over arrhythmic synths that give the track profundity. Hernan Cattaneo has developed over the years a unique sound that has conquered the hearts of millions of fans all over the world. This wasn't going to be different, and with the help of Soundexile, they came up with two exquisite remixes. The first one is a high tempo progressive techno track with trance stabs to remind us of the classics. The second one is a deeper version that climaxes into a modulated theremin synth that gives a playful touch to the record. Last but not least Paul Deep also made two remixes that impart a spin to the main line with a purer techno version of Cognitive Behaviour. The first one, with concise synths that conquer the deepest parts of our minds, right away captures our hearts. The last version of it is one with a vigorous bass immersing the listener into the ultimate techno experience. The whole EP is a total assault on your senses, don´t miss out!